Do you struggle with hunger? Not sure if you are really hungry or it is something else? I will teach you to identify NINE types of hunger and how to manage them. You will also learn to read your body’s natural satiety signals helping you to naturally eat enough. Just eating keto wasn’t enough for me to get healthy. I struggled to identify when I was really hungry. I couldn’t tell the difference between real hunger, boredom or emotional hunger. I often missed the hunger signals so when I did eat, I would struggle to stop and overeat sometimes to the point of nausea. My body’s signals for hunger and satiety were broken. Through the ancient art of mindfulness I taught myself how to understand when I was really hungry, when it was another type of hunger and when was appropriate to eat. I learned to listen to my body and by doing this I was able to reach satiety comfortably and eat just enough. I knew I had to share what I had learned because so many of us have broken hunger and satiety signals. 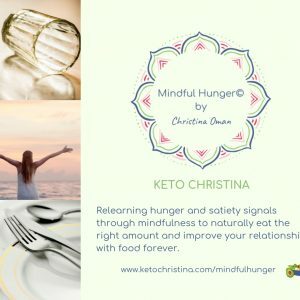 I designed Mindful Hunger© personally to help people on keto for weight loss be more successful by understanding hunger, learning to be more mindful about hunger and improve their relationship with food. It’s 5 modules of self paced learning, in your own time. 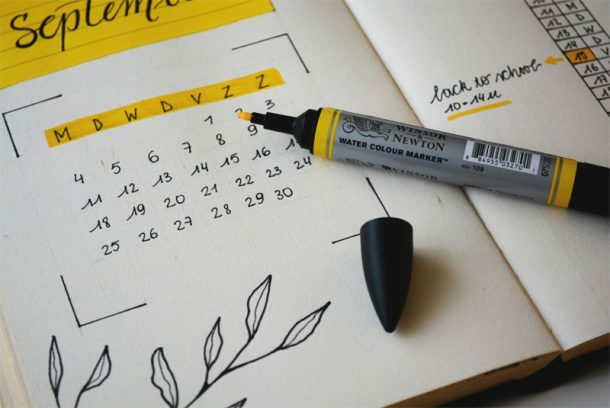 Each module is designed to help you learn how to reconnect with your body, be confident in your choices and make the best food choices for health. Learn the art of eating just enough to satisfy and love your food again! Christina taught my Mindful Hunger© as part of my 121 coaching program. I just couldn’t stop eating and no matter how much fat I put into my diet I was still overeating. Christina “prescribed” Mindful Hunger© to me to try to get me to learn when I was properly hungry. It was hard to take such a close look at my past eating habits but after doing the exercises I saw that I had an issue from my childhood. By uncovering this conditioning and using mindfulness techniques I was able to break the conditioning and only eat when I was really truly hungry. I still have to be mindful every meal but eating has become a pleasure. Through training with Christina I have learned that so much about my eating habits. They are just habits and they can be broken. I can take back control and really decide when I want to eat instead of just eating when the clock says. It took time to break the habits but it does get easier every time I do it. Thank you Christina! Eating used to cause me a huge amount of anxiety. I wasn’t hugely overweight but I struggled with going for long periods eating a little then getting so hungry that I would just binge on every carb I saw. Through Mindful Hunger© I learned that as a child I had been conditioned to only eat when I was really hungry as we had little money and food was scarce. I was scared to eat and allowed myself to get so hungry I was almost staving which triggered the binges. I honestly wouldn’t have ever made the connection without going through Mindful Hunger© with Christina. I’m so happy that she is making this available to everyone because there are so many women I know that have bad relationships with food and it doesn’t have to be this way. This course will help you to find the key. Sign up to receive your FREE KETO FOOD LIST, updates, recipes and more! Join my mailing list to receive all the latest news and updates from me.